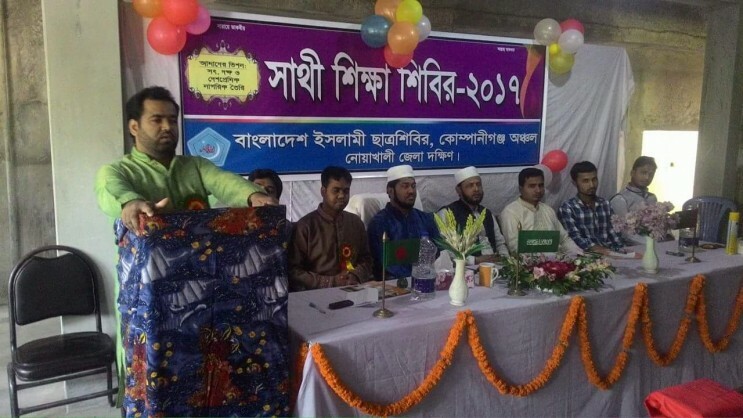 Yasin Arafat, the Central President of Bangladesh Islami Chhatra Shibir said that the nation at present is passing a crucial time in its history after independence over the question of its identity. This is due to the fact that it is facing one national crisis after another in an unexpected manner. But these problems need to be faced together. There is no alternative to national unity at this critical juncture in national history. He said this at a member candidate program held in a Dhaka auditorium, where he was the chief guest. The program was presided over by office secretary Sirajul Islam, and was attended by guests including Central Finance Affairs Secretary Hasanul Banna, Publicity Secretary Mostafizur Rahman, and International Affairs Secretary Salahuddin Ayyubi, and other activists and leaders. The Shibir President said, the country is facing uncertainty and confusion in the wake of the string of unexpected and mysterious events taking place. The continuing terrorism problem has placed the country in a new crisis. At the same time, the moves to attain political gain from such crises and continuing mysterious events in the name of counter-terrorism has shocked the nation, due to its obscure and upsetting nature. The process of achieving political gain from such events is nothing but a manifestation of narrow mindedness. At the same time, the move to sign an antinational defence treaty with the neighbouring nation has made the people of the nation worried as well. The govt. silence over the Teesta treaty and also silence on the real nature of the arms treaty/defence deal have led to a lot of questions in the minds of the people. A lot of political personalities and experts have spoken out against the deal, but the government is pursuing the signing of the deal irrespective of public opposition to it. The government has been following the party-line policy on these issues, despite their national character which demands much more public participation. He said that Bangladesh is going through a very difficult time. But those in power are following the authoritarian path in the guise of democracy, due to which more problems are being created instead of being solved. It is not possible to solve national crises without the involvement of the general public, which has been already proved. Any thoughts which are against united public perceptions of national interests may lead to dangerous results. We immediately call upon everybody to unite to address the national problems and issues. The result of any pact or deal without public participation will not lead to any good results. The nation does not want to witness more crises of such nature anymore.